What an encouraging Sunday it was to think about the love of Jesus for his Bride! I hope the love of Christ encourages you to love others this week. I am praying that the Spirit helps us to live a crucified life in our marriages and every area of our lives for the glory of God. We were able to hear a message on marriage from pastor Jody yesterday. Be sure to listen to if you missed it. You may even want to listen to it again! I've also included a link to the women's article Jody mentioned in the sermon. SING ALONG WITH THIS NEW SONG — IS HE WORTHY? 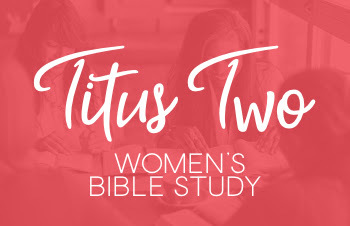 Speaking of women's ministry, tonight is our next Titus 2 meeting. This is a great way for women in our church to point one another to Jesus. Don't miss out on this great opportunity. Our church has been invited to a community event with a group from Parker Bennett Curry and a local day care center. The event will be hosted at our church building. And it will be a great (and easy) way to connect with people in our community. Join us Friday, April 12th from 6–7:30 PM! This would be a great event to bring your kids. It's even a good opportunity to serve. If you'd like to bring some candy for the event, that would be great! The church office will be open Monday-Thursday 9–12 & 2–5 and Friday 9–12. 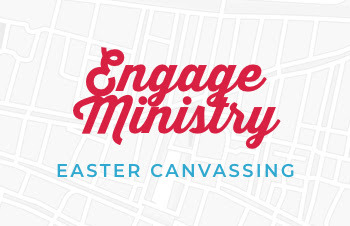 The Engage Ministry along with the Kid's Ministry will organizing canvassing for Easter this Sunday, April 14th from 2:30–4 PM. 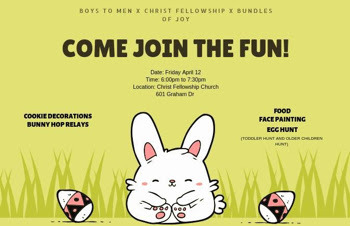 The Kid's Ministry will be making goodie-bags to pass out from 2:30–3 when we will then go out into the community and invite our neighbors to celebrate Easter with us. Please plan to come and help us connect with our neighbors. Bring the whole family! It will be a great way to get everyone, kids included, into the neighborhood that God has called us to reach with the good news of Jesus! 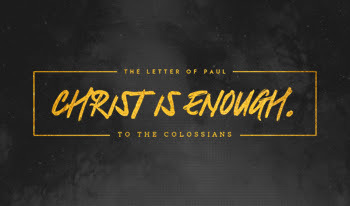 There really is no greater news in all of the world than the gospel of Jesus Christ! The good news that the perfect Savior would lay down his life for His Bride and rise again! Let's spend the next two weeks sharing this good news and inviting others to celebrate with us at Christ Fellowship on Easter Sunday!